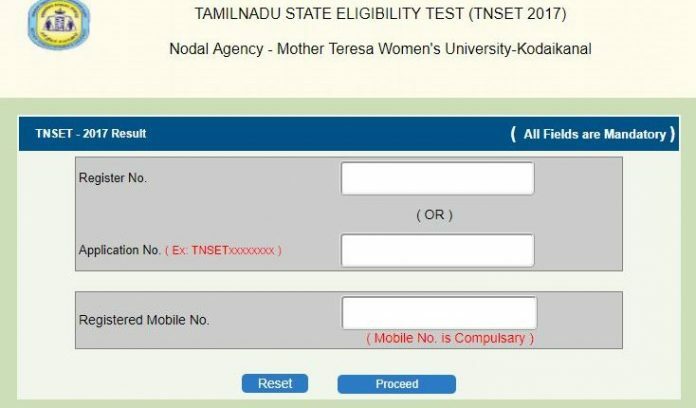 TNSET 2017 Results: The Mother Teresa Women’s University, Kodaikanal declared the result of the Tamil Nadu State Eligibility Test (TNSET) on Tuesday. Students can check their grades on the official website: motherteresawomenuniv.ac.in. The university conducted the exam on 23 April and released the answer key on 17 May. To qualify for the exam, a candidate in the general category has to clear Paper I and II with a minimum of 40 percent, according to ExamsWatch. For Paper III, candidates need to score a minimum of 50 percent to qualify. For candidates in the reserved category, the passing percentage is 35 for Paper I and II while for Paper III, it is 40 percent. Click on TN SET Results 2017.